Scantron has offered survey services including data management and analytic capabilities for over 40 years. While they continued to meet the needs of many diverse business verticals, they wanted to leverage their nationally-recognized brand to build awareness and drive sales within targeted markets. 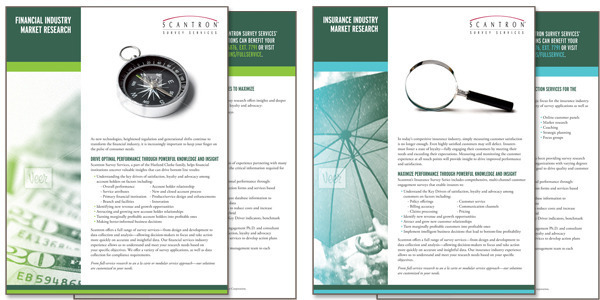 Scantron sales and marketing teams were armed with the strategy and tools they needed to generate increased awareness and interest in their survey offerings.